When I asked my son what cake he wanted for his birthday and he said an AC/DC one. I thought how would I do an AC/DC cake?? 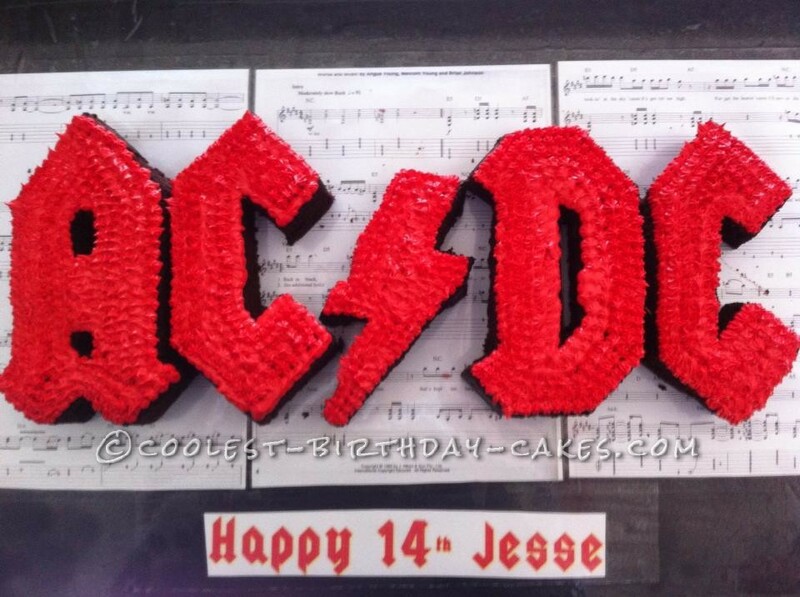 I then Googled some cakes on line and there wasn’t many on line, I came on here and there are no other AC/DC cakes, so I thought i would just make it up as I go. I then decided I would do the individual letters so I traced them off the internet and still wasn’t sure if this was going to turn out. I went ahead and made 2 batches of a yummy chocolate cake and split them up into 4 little square cake tins from 1 cake. I made the A and the other the C and so on. Out of the scraps I cut from the letters I made the lighting bolt. The letters looked great, now how was I going to ice these? I thought fondant would look great. I went and bought the fondant, got home and changed my mind. aI then decided I would try my first ever piping attempt. Now the letters to the band’s name are red so I had to try and get red. I knew this wasn’t going to be an easy thing to do, so I put some red gel in and then some more red gel, then some more red gel. I then went to put more in and I had used a whole bottle, it still looked pink. I knew my son would not appreciate a pink AC/DC cake. 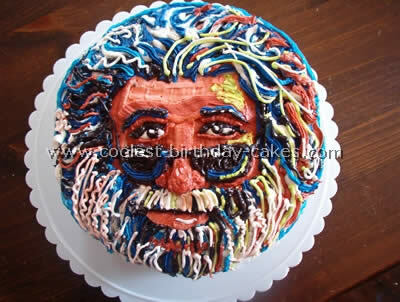 So again went to my trusty computer and Googled how to get red icing. I then saw that people said that the longer you leave it the better the color comes, so I went back and YAY, it’s red. So I put it in my piping bag and off I went, wow, how tiring is piping, my arm was aching. But I did it, I iced only the top of the letters to start with and then I was going to do the sides but after finishing the top I looked at it and loved the effect of the chocolate cake showing on the sides of cake so I left it. My son LOVED it, his friends thought it was awesome and that I was pretty awesome too. Thanks Tamara, this was very helpful! I’m going to try this one today!